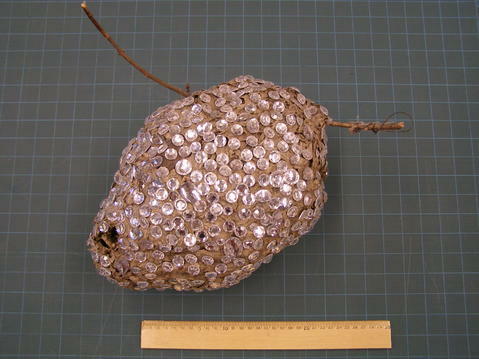 This file contains a bejeweled hornet's nest sculpture. The piece likely relates to Coupland's other nest sculptures made out of the paper of his own books and royalties cash. See sub-series titled Paper nests in this fonds.